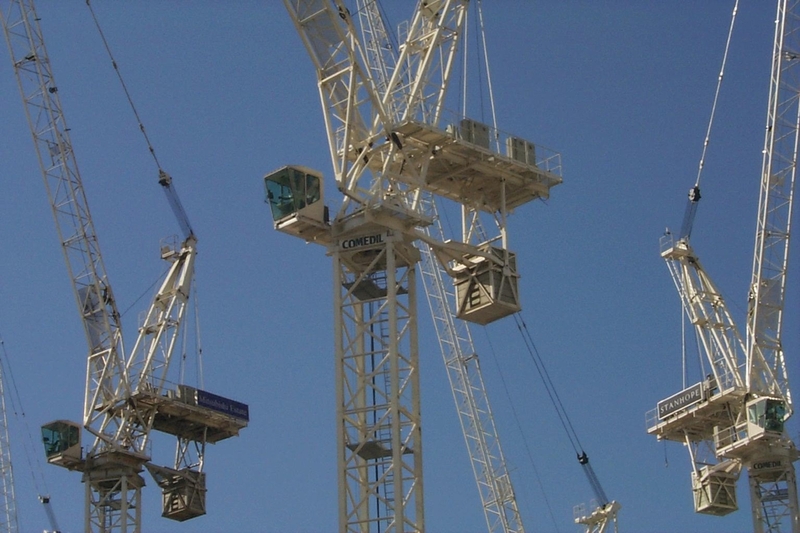 September | 2011 | BSRIA Blog - Opinions and insights from BSRIA Limited. Integrated working – is it the right time again? For those of us who remember back to the early 1990s, the current drive of the Government’s construction strategy to get better value from construction by reforming procurement may seem like a case of history repeating itself (see The Latham Report “Constructing the Team”, 1994). What is interesting to note is that both reports followed severe recessions in the construction sector which had themselves followed relatively long periods of growth in construction output. Of course this might be no more than coincidence, or it may be an attempt to embed some much-needed structural changes at a time when the industry is experiencing a buyer’s market, so that when times improve there is less tendency for the industry to revert to type. I welcome the kinds of change that are now mooted: involving suppliers at the time they can add value to a project, which generally means earlier than usual; clients focusing on specifying output performance and designers/contractors working together to develop integrated solutions; supply chains engaged on serial orders that will encourage research and innovation. I believe, however, that this will need a wider set of more fundamental changes to be put in place than just exhorting traditionally separate disciplines to work together. There are a number of hidden drivers that I suspect will also have to be tackled for this change to be effective. These include the fragmentary nature of the client, the underlying power of the finance and insurance industries, and the tendency to think short-term. A fragmented client comes from devolution of budgets, which itself promotes budgetary responsibility, but which also means that more organisations become occasional clients and don’t have the chance to develop the skills to deal with a sophisticated and confusing industry. Finance and insurance underpin many of the choices made by developers and designers in terms of the technical standards they build into their schemes – no landlord wants to be left holding a difficult-to-let office block because the permitted floor loadings are outside the norm, irrespective of whether this capacity is ever needed. Manufacturers may feel the need to offer warranties to give their customers a safety net – difficult to achieve when a technology is new and may be favoured from an energy efficiency point of view. Short term thinking is natural, but is often the enemy of good decision-making. It drives lower capital expenditure at the expense of higher operational costs. This may come from governments not seeing beyond the next election, or officials not seeing beyond their current posting, or organisations behaving as though they were not going to be around for more than a few years. Which is all understandable, but not really defensible. We have tools to help make good, long-term decisions – such as life-cycle costing – all we need to do is not be afraid to use them. In my view, the desire for more integrated working must not be restricted to the primary members of the construction industry, but must also extend to all the supporting stakeholders and really engage with the operators and maintainers of buildings and infrastructure – a distinction which is unnecessarily perpetuated by the separation of CAPEX and OPEX budgets inside client organisations. So, is it the right time for integrated working? 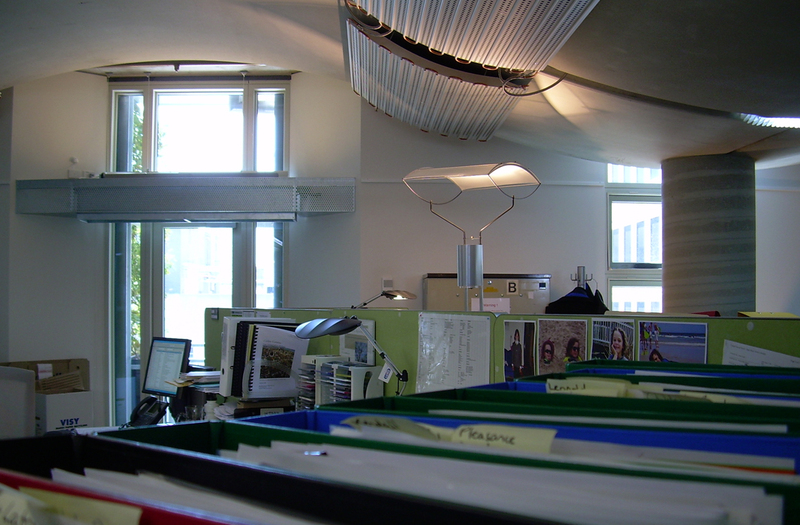 For many years the conventional method of interior lighting for workplaces was by ‘general illumination’. As lighting was not expensive to purchase, install or operate, the principle was to provide illumination over the whole floor area with a high degree of uniformity. This enabled plants or furniture to be subsequently positioned anywhere in the space and easily moved without recourse to changing the lighting array. However for the past decade UK lighting codes and standards have recommended not ‘general’ but ‘task’ lighting. The significance of this change has either been ignored or gone largely un-noticed as the illumination values were basically the same. The new concept recognised that the main critical visual task is only carried out over a small part of the total floor area. The rest of the space is used for circulation, storage, filing and similar activities all of which are less demanding in terms of illumination. Lighting the whole area to the highest illumination required can use about a third more energy than matching the illumination to the different activities. Energy costs are continuing to rise and therefore providing the right amount of light only where it is needed is beneficial both economically and environmentally. Also variation in illumination can make the space visually more interesting than overall uniformity. Normally the reason for still providing ‘general’ illumination is because the building is a speculative development and there is no client to determine the furniture layout, or simply that the layout has not been decided yet. I think potential tenants need to be aware that for lighting to be visually efficient the equipment should be electrically efficient and the lighting design should suit the activities across the space. Providing light where and when it is not needed is inefficient regardless of lumens per watt performance of the luminaires. Recommended illumination levels in the past were based upon the need to determine detail in the visual task, together with the amount of contrast critical nature of the work and the importance of colour discrimination. Recently there have been massive changes to how we read the written word with print on paper largely being replaced by self-illuminated screens of computers, tablets, telephones, information signs, cash registers, etc. At the same time there has been the move towards ‘hot desking’. No longer does a space have a constant lighting need. The visual task performed at any point will depend upon the occupant at any one time. Does this mean we should revert to general illumination? Or does the lighting of our buildings require a fundamental rethink so it is more appropriate to today’s sometimes conflicting needs of energy conservation, use of electronic media devices and flexible occupancy of spaces? Modern lamps have long lives and therefore lighting is only infrequently changed. Installations over twenty years old are not uncommon, a time span when most other electrical equipment will have been replaced several times.